Circa 1870. Poised on two park-like acres in New Hope, Pennsylvania, with flower-lined brick walkways that lead to gazebos and a hammock, this gracious Victorian Painted Lady reflects its name in the blue-colored exterior and inside walls and trim. Guest rooms and suites are painted and stenciled by a local artist and boast fresh flowers, fine antiques, wifi and innkeeper Carl's secret-recipe Almond liquor and bedside chocolates. Some may include fireplaces and two-person Jacuzzi tubs. Linger over a home-baked morning meal served on authentic Wedgwood china in the expansive Breakfast Room or covered porch. A guest pantry boasts a refrigerator, beverages, snacks, treats and fruit. Afternoon Tea is provided on Saturdays and Sunday holidays. A private pool, tennis courts and health club privileges are available for a small fee. The vibrant village and walking bridge to Lambertville and Princeton, New Jersey are nearby. This property has 11 total guest accommodations, 16 with private bath, 11 with fireplaces, 6 with whirlpools, 6 total suites, including 2 two-bedroom suites, 1 cottage and 2 conference rooms. The types of beds available include Twin, Queen and King. Romantic accommodations accented by fresh flowers feature pampering amenities that may include a 4 post-Canopy Bed, in-room fireplace, in-room 2 person Whirlpool Tub and/or porch/balcony in an inviting setting. We have always recycled paper, glass, aluminum and metal/tin cans too. WE have served on the Boro Environmental Committee for several years and have chaired various Clean-Up events. ABBA, PAII, B&B Inns of Bucks County, PA, New Hope Lodging Association. Brick paths wind thru colorful garden areas amidst 2 1/2 private, park-like acres which feature towering shade trees and flowering fruit trees. 2 Gazebos and wrought iron chairs and tables are scattered through-out our manicured grounds, offering serenity and privacy, et we are located just steps to the vibrant village square of New Hope, PA.
2 nights over most Saturday nights 3 nights over most Holiday weekends. "Inn of the Year", as voted by readers of inn guidebooks. If the number "35" is important in your life; i.e., you were born in 1935, you are 35 years old this year, its your 35th wedding anniversary ( you get the idea)you qualify for a Special MidWeek Getaway of $35 off your stay. Valid from 02/23/2017 through 02/27/2020. Experience an overnight stay at our 1870 Wedgwood Bed and Breakfast Inn and discover why we were voted "Best Place to Kiss" in New Hope. Enjoy a welcoming cup of tea or coffee and just-baked cookies on arrival. Sleep in an oversized 4 post, lace canopy bed, perhaps with your own fireplace. Some accommodations also have a 2 person Jacuzzi tub facing a fireplace...so reserve now for best selection and availability. We'd also be glad to assist you with your purchase of flowers, chocolates or a gift/snack basket for your special someone. We will also offer Complementary "Breakfast - in - Bed" to the first 10 couples (each month) who book a 2 night "Mid-Week Escape" package. Bonus: Stay a 3rd consecutive mid-week night, and pay only 50% for the 3rd night. This cannot be combined with any other discounts or specials. These escape packages are available at all rate/amenity levels, including Standard, Fireplace/Special Amenities and Jacuzzi accommodations. Free "Breakfast-inn-Bed for the Two of You" with any 2 night MidWeek Escape reservation at the nationally acclaimed 1870 Wedgwood Inn of New Hope, Pa. Romantic Fireplace Rooms or deluxe 2 room Jacuzzi-Fireplace Suites! Valid from 02/23/2017 through 02/20/2020. Pamper yourself with a complimentary "Breakfast-in-Bed" and enjoy a large First Floor accommodation (no steps!) at our historic and gracious Smoke - Free Victorian inn. Valid from 02/23/2017 through 02/21/2020. Arrive Sunday (or Monday) at Wedgwood Inn of New Hope, Pa and stay 4 consecutive nights and Sunday night is FREE. 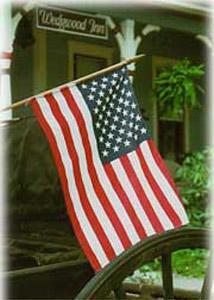 This applies to all 3 categories of our B&B lodging: Gold, Platinum and Dbl Platinum accommodations. Effective January thru April. A breakfast staple that is full of protein and hearty oats. Slightly sweet and perfect with a dollop of your favorite yogurt. A savory and satisfying egg casserole. Flaky crust filled with a tasty and hearty baked egg filling. Guests can\'t get enough of these super moist and nutty muffins. We love them because they are super easy to prepare and come out perfect every time! A very moist and not too sweet addition to any breakfast. This delectable cake is a tradition. It\'s one of those cakes that you can\'t stop eating as it\'s perfectly moist and spiced just so. Thank you Grandmom for sharing; we wouldn\'t change a thing! Orange juice and coconut add just the right amount of sweetness and tang to these muffins. We like to serve them with our signature quiche. These muffins are so addicting. Moist, and deliciously spiced. Perfect accompaniment to a warm mug of mulled cider. Thank you for another wonderful stay! We so appreciate your warm welcome and all that you do to provide the respite we need. We're already anticipating next year! Like family, without the hassles! This is a very warm & friendly place to stay. The innkeepers are accessible and quite knowledgeable too. Clean. Did i mention this is a very clean place too! And to top things off, they know how to cook too! 4th visit the best ever! A quick note of thanks for the wonderful mini-vacation. Our first time in one of your Jacuzzi Suites, and we are hooked! This marked our 4th time at Wedgewood Inn and we love it more than ever. What a nice break from the city! Beautiful grounds and wrought iron lawn furniture. The seat cushions are perfect too. The staff are very friendly and really know the area. Walk thru the vine-covered arbor in the backyard and walk down the winding staircase to the oldest and hidden street in New Hope. I just wanted to send a note to let you know how much we enjoyed staying at Wedgwood Inn last week. Iplanned a surprise getaway for my husband's birthday. This was our first experience with a Bed and Breakfast and we'll definitely be back! The large room was very clean and tidy and the king bed was comfortable. We were able to leave our car in the on-site paved lot and walk to everything in New Hope and even to Lambertville. We slept in Sunday morning and didn't make it to breakfast. Monday we were able to enjoy the multi-course hot breakfast and were very impressed eith the selection and freshness of everything offered. Thank you for having such a wonderful gem. Thank you for opening up in this power outage due to the heavy snow storm. We only live 10 miles away, and we were thrilled to find you were open and even better; had power plus a backup Generator too! We were pleasantly surprised by the personal attention and lovely appointed guest rooms we were shown. We chose a room with King sized bed and a gas fireplace that was just what we needed after spending one night in our dark, unheated home. While we were hesitant to leave the warm clime of Florida in the month of February, we were very pleasantly surprised at the warmth and hospitality at Wedgwood and New Hope, Pa. Thank you Dinie and staff for making a stressful family event and easy one. Your assistance in making a large family gathering was much appreciated. Wedgewood Inn is thee best place for romance! I took my boyfriend here for our first anniversary of dating. We had a very romantic room with a fireplace ( gas) and a big Victorian bed, we had a small porch too with 2 chairs and a table; perfect for late night glass of wine. Our big bathroom included a claw foot tub.Loved it here. Even though this was our third visit inside a year, we were very happy with our most recent extended stay. Dinie informed us of the newest restaurants and shops in both New Hope and neighboring Lambertville and we walked everywhere. In New Hope, we Really liked the new Los Catrines Mexican Restaurant , Ferry Street Food Court and Four Crows Coffee House. Lambertville had Under the Moon and the Broadmoor! We extended our lodging stay to also go to Caffe Galleria and Martines River House Restaurant -- old favorites. Breakfast daily at the Wedgwood was the best way to start each day! We stumbled upon the Town of New Hope, Pa while exploring Washington Crossing State Park, which is located directly off I-95. We looked for lodging nearby on our smart phone and we discovered the Wedgwood Inn. And happlily so; this is a very pleasant, clean and well run establishment. We felt"taken care of" from the moment we entered. Warm, kind, cordially all come to mind. Ask if a room with a 4 post bed and lace Canopy Bed is available! We came to Bucks County to visit family, and we were recommended to Wedgewood Inn. We extended our stay because of the high level of service and hospitality. Dinie & Carl run a superb inn. From the warm welcome to the fine accommodations to the delicious multi-course breakfast - they exceeded our expectations. highly recommend. I have stayed here well over a dozen times in the last 4 years; The Wedgewood inn is my earthly act of indulgence! The inn is an oasis of quiet respite and a romantic escape. Deenie and Carl have perserved a way of life when things moved at a much more civilized pace. Follow the staffs' advise. Be it a dinner recommendation or a scenic backroad hiking trail, follow their knowledgeable advise! We just stayed 3 nights and had a great time at Wedgewood Inn. Beautiful grounds and gardens. your variety of trees and bushes and mums combined to display gorgeous colors. Very convenient location in town however away from the Main Street. I'd return for either the comfortable bed or the fantastic breakfast! Well done. InnSide Tip - private porch! I always admired how nice Wedgwood inn looked when i drove through town. This picture perfect Painted Lady Victorian House is as gracious inside as it appears from the exterior. Our warm welcome was followed up with a gorgeous two-room suite with king bed, jacuzzi, and a fireplace. We made good use of our balcony too. Happy to have found New Hope in Pennsylvania while attending a wedding. Sweet innkeepers and knowledgeable staff. Convenient location with land but just 2 blocks to the center of town. Free onsite parking is worth the price of accommodations!!! The Wedgwood Inn is a perfect balance of a romantic escape and modern conveniences. Our large, well-appointed accommodation included a King size bed, extra pillows and a beautiful conforter and dust ruffle. Our Oval Jacuzzi Tub was next to a window in our bedroom, across from a Gas Fireplace. The wifi was fast; the color-cable tv was flat screen and we controlled the A/C in our room. Always plenty of hot water--- and greqat pressure too! We came to New Hope from LA for a wedding at Washington Crossing Park. We loved our overnight accommodations at Wedewood Inn because we felt immediately welcomed upon check in. Learning about the inns' history with General Washington and the Revolutionary War was a plus too. The architecture and room decor was all "East Coast-style". Loved it so much we stayed an extra night. Wedgewood inn is truly a loving, and lovely place to stay. Our accommodations were very romantic; lace canopy bed, extra pillows, plush towels and ornately painted / stenciled walls. The plentiful made-from-scratch breakfasts were filled with flavor and color. The flower-filled gardens offered several private sitting areas. All this plus warm hospitality and a great location in New Hope! All the majestic trees and flowering bushes and gardens on the grounds of your gracious inn! The fresh air is full of oxygen and color. We thoroughly enjoyed our seven night visit to New Hope to see family and friends. We especially liked the authentic hospitality and your high standards of cleanliness and service. Thank you for a wonderful stay in your charming All - American inn. Manhatanites, but originally from Sweden, we love New Hope and we love your Wedgwood Inn too. With only a long weekend for vacation this year, we decided to stay in New Hope, PA, about 90 minutes from our North Jersey home. And it was great! The beautiful grounds at Wedgewood provided sun and shade for our August 'staycation'. Plus there were many different private spots to sit or sunbathe. Breakfasts on the Back Porch were ample, and delicious. Friendly staff made all 4 days here a delight! Love, after all these years. 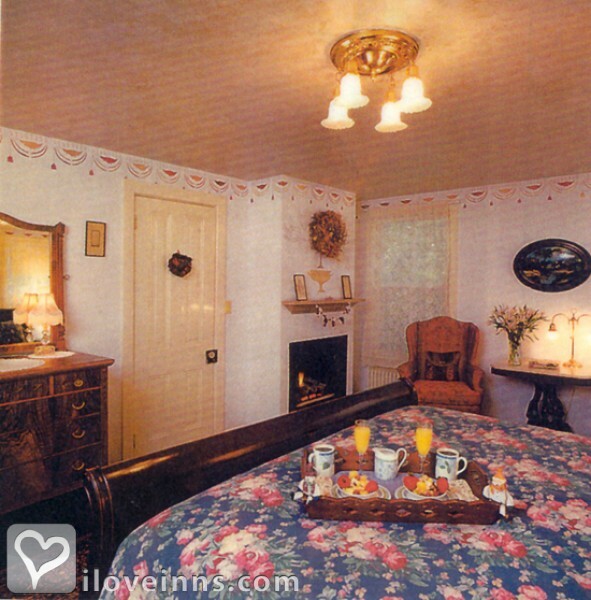 We have been staying at the Wedgwood B&B for over 34 years. I heard about this special place in New Hope the old fashioned way in 1983: around the office water cooler! Yes; pre- internet and pre- social media, a colleague of mine recommended New Hope as an artsy destination close to NYC and Dinie & Carl as friendly and authentic innkeepers. 3 generations of my family agree! We have celebrated large family get- togethers and couples-only romantic getaways here. Dinie has successfully maintained her high standards of cleanliness, top-notch food quality and 'Wedgwood perfection' in hospitality services. My husband and i just returned from our second visit to Wedgewood Inn. This time we booked the carriage house and had a very nice stay. The Great room on the first floor was perfect for lounging and using the Two Person jaccuzzi tub. The second floor bedroom and covered porch were romantic and well-appointed, Loved all the white wicker furniture! We are so glad we selected the Wedgwood Inn for our 14 day honeymoon vacation in America. We love the breakfasts and our romantic accommodations. Its easy to get around New Hope and Lambertville without a car. Nadine has also taken us with her to farmers markets and antique buying trips. We even took the bus to New York City for a long day of siteseeing. We also rented bikes are toured 6 covered bridges in the countryside. Thank you: we had a wonderful time! Thank you! We enjoyed ourselves immensely in New Hope and at your charming inn. We loved sipping your Mint Iced Tea in your side Gazebo and listening to all the birds singing. ( the wrought iron furniture was very comfortable with your cushions!). Fantastic restaurants (Karla's, Martine's, Blue Moose) and so many choices for live musical entertainment after dinner. And all we had to do was walk "home" to our Wedgwood Inn. Much thanks for the privacy you gave us on our most recent stay here. We appreciate you giving us the 'space' we needed. Not that we didnt want to have breakfast at our fav table-for-two. But with four young children at home, we cherished the romantic envirinment you have created and we are grateful we had two days together! Now; back to reality. Innkeepers are both friendly and very knowledgeable.They are very accessable, and at the same time respectful of your privacy. We are here on our 5th wedding anniversary. We always stay in "our room", because our first overnight "date" and our wedding night was spent in the Overlook Room (K). And now we return to Wedgewood as often as possible but at least for a few days around our wedding anniversary. We appreciate the kind and helpful innkeepers and the amazing space they have created. We had a long-awaited, and much needed, romantic few days together in New Hope at the Wedgewood Inn. And our corner room with porch set the mood for romance with its lace canopied bed and 2 person Jacuzzi tub in the bedroom :))). Best 4 day min-vacation ever in New Hope and Lambertville last week.. New Hope has the nitelife with way more live music and theatre offerings every night of the week. Both towns had plenty of attractions and indy shops and art galleries. But leafy Wedgewood Inn was where we always walked back to sleep; nice people, clean rooms and great breakfast each morning. Romantic nights in the hammock out back! Thank you for everything! We had the most wonderful, relaxing and romantic getaway. Not only were the innkeepers pleasant and knowledable, this is the cleanest inn too: spotless! A memorable stay and so close to home; it was less than an hour from Staten Island and New Hope is such an artists colony, bohemian river town. This was the midweek getaway from Manhattan and work. We also needed some alone time to re-connect. And New Hope is perfect. And Wedgwood Inn is the most romantic inn. Its quiet, well-located to town, yet has expansive grounds and flowers and birds and towering trees. Easy access by direct bus service from the Port Authority is a real plus; no need to rent a car! Most Relaxful Business Trip Ever! It is such a pleasure to stay here while i'm traveling on business. Just a block from my corporate offices, i can have my early breakfast and just walk over to the office. Your prompt Dry Cleaning Service was efficient and most welcome. Indeed i am looking forward to my next week long here! Leslie H.
First Friday night and we saw fireworks over the Delaware River ! Thanks to our innkeepers, we found a great place on the riverbank to watch the free event. Then we walked back to the romantic suite at the Inn and made our own fireworks! We are glad that we chose Wedgewood Inn because this is a very romantic inn to spend our 10th anniversary. Our beautiful accommodations included a king-size bed with 6 pillows and lovely sheets and bedspread. The Victorian-era furnishings were both gracious and very comfortable. We loved our private porch too. Romantic escape to New Hope! New Hope, Pa is a wonderful small river town just across from Lambertville (NJ) with lots of exciting things to do and see. 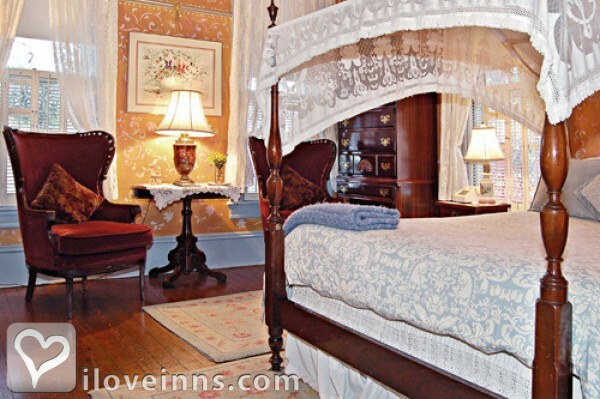 And Wedgewood Inn is the most romantic place to retreat to after an active day in town. We had a wonderful time this week at your inn. Our separate cottage accommodathospitable innkeepers.ions were very romantic. The garden views from our 2nd floor covered porch were fabulous. Birds wsinging. Butterflies. Lightening bugs at night! Friendly staff and hospitable innkeepers. A week is not long enough! Thank you for your service and hospitality this past week. It was a very relaxing stay, despite getting calls from the office. Your staff went a long way to making my week a pleasant and comfortable one. your commitment to excellence shines through to your staff , your breakfast service and is in everything you do. As a frequent leisure visitor to Wedgewood Inn, Dinie will store a small suitcase for me. Less to pack for my next visit. Ask, especially if you are a frequent business traveler. Romantic inn with best breakfast ever! I was seeking a quiet, romantic inn that was also walking distance to a town, and i found New Hope in Bucks County & The Wedgewood Inn! Close, but not in the downtown section of this exciting town, Wedgewood has well manicured lawns and many sitting areas to enjoy the spring gardens. and the accommodations are clean and very comfortable. Our four post Canopied bed was very romantic. Sip your coffee at one of the many seating areas in the back or side yard and enjoy the sounds of birds chirping. We identified starlings, wrens, robbins and morning doves. Four nests too. Love-ely after all these years! As infrequent visitors over a 33 year love affair with Wedgwood Inn and Dinie and Carl and their dedicated staff, i can't convey to you the yearnings we have to book overnight accommodations here with more frequency. Alas busy lives with work and three children and five grandchildren keeps getting in the way! Congratulations on your 35th work anniversary: we very much appreciate the oasis of civility you have created! We had a truly remarkable lodging experience last week at Wedgewood Inn, Dinie and Carl have created a gracious and hospitable lodging establishment. We were consistently pleased by the outstanding service and authentic, warm hospitality exibited by all the staff. Knowledgeable. Affable. Delightful. Tasteful. While i came for a 4 night business trip, i stayed the weekend and thoroughly enjoyed New Hope & the Inn. i so enjoyed my evenings in New Hope's fine dining establishments and nightclubs after work, that i asked my partner to join me for the weekend. An even livelier nightlife surprised us. The inn's convenient location - on the edge of the restaurant/theatre/shopping district - but on lots of beautiful grounds -- and up-to-date amenities made this place perfect for business or pleasure. Friendly staff and great food make Wedgewood Inn my top pick. Still romantic: 30 years in between visits! 90 minutes and light years away from our home in North Jersey, Nadine and her staff have created a romantic and charming oasis (Wedgewood Inn) in this little riverside village of New Hope, Pennsylvania. lots of fluffy pillows, beautiful bedspreads and - truly a work of art -- comforters, hand-painted and stencilled walls --. plus robes and a claw-foote tub! All add up to a graceful, peaceful and romantic setting. InnSide Tip - April flowers are great. April at the Wedgewood Inn's grounds are a fantastic time early Spring blooms. Daffodils, tulips, forsythia, lilac plants just beginning. Gorgeous. And there are 2 acres of tress, bushes and flower gardens! And lots of wrought-iron tables and chairs throughout the grounds. I had all the modern amenities i need to work while on the road: hi-speed FIOS t/o the inn, flat-screen cable tv, my own Jacuzzi Tub and a private porch. Best; a gas fireplace across from my Jacuzzi. Dinie made sure i could get early coffee and breakfast at 8 am. All this in a well-maintained historic building which had tall ceilings, big windows, a 3 sided porch plus beautiful gardens. I'll be back with my partner for a leisure stay. We just enjoyed several nights at the Wedgewood Inn during our Winter Break (at the school district where we work). We are writing to express our appreciation for your warm welcome, efficient service and authentic hospitality during our 4 day stay. Your location is perfect: very close, but not in the middle of town ( we loved New Hope). And beautiful grounds. luckily we had some early Spring warm weather and enjoyed your Back Porch & Gazebo. Dear Dinie and Carl; Thank you for a wonderful stay. You and your staff exuded nothing but love and happiness to us during our entire 4 day 'stayCation'. 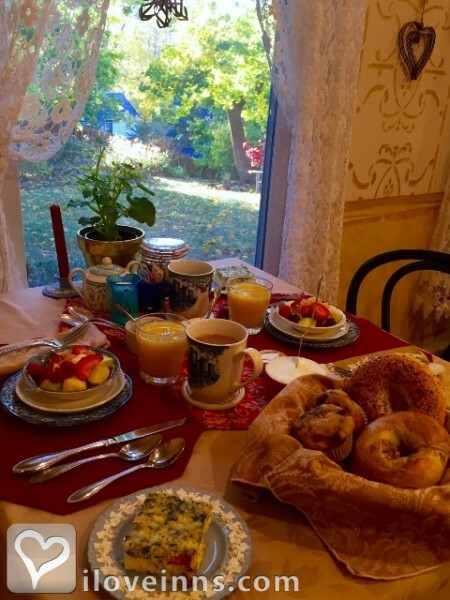 You and your attentive innkeeper-staff offered amazing restaurant options in New Hope and Lambertville ( all walkable from Wedgewood) and back road antiquing adventures too. And you have clearly trained your housekeeping staff because the entire inn was spotless! Staff was efficient in helping us get a Laundry Service, pharmacy, exchange money, etc. As foreign travelers, you made our stay very comfortable and advocated for us often. We've stayed 5 different times over 7 years, and each accommodation at Wedgewood is unique. Ask what is available: we prefer rooms with both a fireplace & a porch. Twice we've had a 2 person Jacuzzi Tub in the bedroom ( there is also a separate bathroom ). Ask! In the bustling boro of New Hope, a colonial-era village and arts colony, the Wedgewood Inn is a Victorian charmer. We really enjoyed its 2 plus acres of beautiful grounds and 80 foot high trees. The 2 Gazebos were our perfect place to have a drink and enjoy the peace and quiet of the grounds. What a romantic oasis! We loved everything about this inn. The warm welcome on arrival. The tall ceilings, polished hardwood floors and lofty windows. Our lace canopied queen-sized bed. Our fireplace, linens and colorful pillows and duve made this inn the best place to kiss in New Hope! My wife booked a MidWeek Escape package at Wedgwood Inn that could not have been a more relaxful, and romantic getaway. Just a 90 minute drive from NYC ( Queens), New Hope is an escape to another (magical) place. 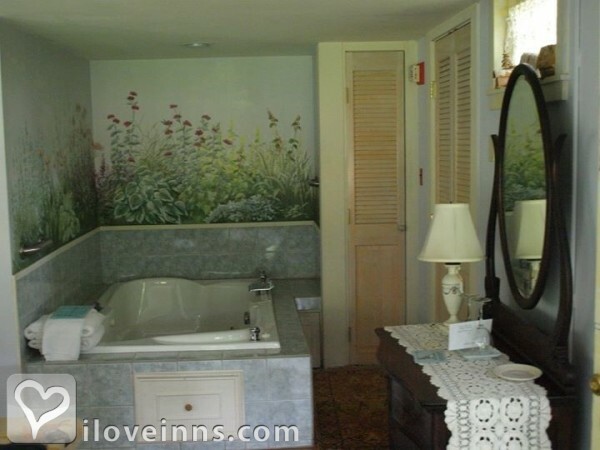 Our suite at Wedgewood Inn had a two person Jacuzzi tub next to a Gas Firepace ( plus a separate bathroom). We even had a private porch! Breakfast-in-bed was a real treat. I' m a frequent Guest from Pittsburgh that travels to New Hope for business. Dinie and Carl and staff have always been professional and very service-minded. I've had early breakfasts, late Check-Ins and small business conferences hosted here. This is my home away from home while doing business travel. 5 star service and hospitality. We just came back from our 7th consecutive stay for Valentine's Day / President's Day holiday weekend and are already planning our late Spring return. The Love-fest continues: we have a new favorite room : The Overlook Room. Love that Canopy Bed! Love the large porch too. We took a few midweek nights away to celebrate my birthday and Valentine's Day too, and we were very impressed with Wedgwood Inn. Its Staff was attentive and very hospitable, but never intrusive. They offered insightful recommendations for dinner and places to visit....customized to our special needs. The Inn itself is immaculate, and gracious and comfortable. Wedgwood; booked for 1 night and stayed 3! We came to celebrate our First Wedding Anniversary How splendid it was to stay in such a beautiful and spacious room, wake up to the smell of our woodburning fireplace and hear the birds chirping outside our windows. The Wedgwood Inn is so pleasing to the eye- the gracious Victorian porch and Porte CoChere, the lovely furnishings and lace curtains and Canopied 4 poster Queen sized bed. Such attention to detail! We booked a Sunday night stay and checked-out Wednesday! We are writing to express how we loved our stay and total experience at the wonderful and beautiful Wedgewood Inn. My husband and i enjoyed the innkeeper's warm hospitality, easy conversations and delicious and bountiful breakfasts. It made a beautiful winter experience for us. We will be back to enjoy the June Garden Tour. Upon first entering the drive of this gracious victorian inn, i noticed the attention to detail Wedgwood Inn offers the discerning traveler. Inviting white wicker chairs on the covered verandah; a warm greeting at the front door (A Wedgwood - blue doorbell! ); the offer of a cold drink and homemade baked goodies; a custom map of the region, and more! All before even viewing my guestroom; the stage was expertly set. Wedgwewood Inn's Blue Room the best. Out of all the rooms and suites available, (thanks for the choice Ana!) we chose the "Blue Bay Window Room". Delightful! We've been coming to New Hope several years and this is the best lodging experience we've ever had. This friendly innkeeper was very knowledgeable too. The room had several nice touches, like chocolates, a carafe of amaretto, two types of soaps, etc. Original photos and art from New Hope folks graced the handpainted and stenciled walls. All the staff at the inn were warm and friendly. Breakfast was available from 8 am to 10 am, (very much appreciated!) and i got my early coffee at 6 am, when i met 'Sarge' opening up the kitchen. We were served breakfast on the back porch off the Dining Room; a rare warm morning in late November! Ask for the "F" Room. The Wedgwood has all the comforts of a highly professional accommodation yet with all the warmth a personal friend would extend. An oasis of civility in New Hope. Taking a break from our every day lives, we tripped upon New Hope as we were driving down scenic River Road in Bucks County. 3 different shopkeepers all recommended we stay at Dinie and Carl's Wedgwood Inn---and we were not disappointed! Olivia greeted us at the door with a warm smile and led us to the Back Porch for tea and just-baked cookies as we selected a vacant room. We chose one on the second floor with a private balcony and Large Whirpool Tub in the bedroom...we decided to splurge! Highly recommend: breakfast-in-bed. Carl brought our Breakfast Tray to the room in the morning right on time (it's free!) We followed Dinie to RICE's Market after Check-Out and shopped with the Locals. How pleasant; we arrived strangers and left with many friends. Clean! V. comfortable! And sooo hospitable. There's a quaint Wine Store a block from the Inn. Bring back a bottle and sip wine with your partner in one of the 2 Gazebos in the back acreage of the Inn. When i emailed the Wedgewood Inn of New Hope, Pa. last week to enter to win a "Mid-Week Escape Package", i had no idea i would be experiencing the Inn so soon. I had the pleasure of staying at the Wedgewood Inn this past weekend. Jim and i stayed in the 2 person Jacuzzi Room J (Manchester Valley) and we had an amazing time!!! We told friends back home and planning to come again real soon. I also wanted to thank you again for your friendliness and hospitality and especially for providing us with toothbrushes and toothpaste. It brought us back to being kids again with the mint-flavor (LOL). We hope to see you both real soon. LOVED your Inn!!!! the 2 person Jacuzzi Tub is in the bedroom, next to a Gas Fireplace. There is also a seperate tiled bathroom. The 4 poster Lace Canopy Queen Bed is very comfortable. We arrived as weary travellers and left 3 days later as friends. Dinie and her staff are consummate professionals; warm and inviting yet unobstrusive. Available yet discrete. All food served here is baked from scratch on site: linger over coffee ( available all day) and you can smell the egg dishes, the cookies and the delectable breads being baked. And the accommodations are top notch too. Clean, clean clean and fine details throughout - from loads of fluffy pillows to thicks towels and cotton bathrobes. however all pale to the genuine care Nadine and Carl have for their guests. Ask Carl for his 'shun - pike' suggesstions for country roads and historic General Stores and Covered Bridges. The aroma of an egg dish baking in the Inn kitchen on our arrival is always a good sign to me. We were not disappointed when we ate Dinie's vegetable quich the next morning. Other smells emanating from the kitchen included oatmaeal raisen cookies and a lemon-blueberry bunt. Even the iced tea was made fresh from mint in their garden. The attention to details in the kitchen extended to the accommodations and professional level of service too. take your Afternoon Tea in one of the 2 Gazebos located in the gardens and shaded by 100 year old trees. 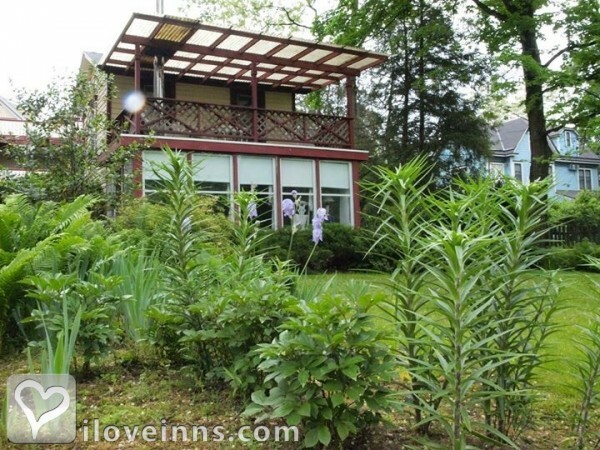 Gr8 location inn New Hope, Pa.
In-town yet a bit apart, these well-kept acreage included two gazebos surrounded by well tended flowering gardens, brick walkways and tall, tall shade trees. These captivating grounds can also be viewed from the victorian Back Porch or the three-sided wraparound verandah. The Inn itself was also well-appointed and very clean. Tall windows, gleaming hardwood floors and lofty ceilings, original woodwork and moldings; just what i hoped for. Foor service; everything served at this lovely inn is made from scratch by Nadine and her able staff. Scones, egg fritatas, muffins, cookies, strawberry bread; the smells emenating from the kitchen were non-stop. Only the staff's smiling faces and hospitality exceeded these fine attributes. We really enjoyed our stay at Wedgwood's Aaron Burr House last week. I planned a surprise getaway for my husband's birthday. This was our first experience with a Bed and Breakfasdt and we'll definitely be back. The room was clean and tidy and the bed was comfortable. We were able to leave our car and walk to everything in New Hope -- and Lambertville too. We slept-in Saturday and didn't make it to breakfast. Sunday we were able to enjoy breakfast and were impressed with the selection and freshness of everything. Thank you for such a wonderful gem of a B&B in New Hope! Class of '77 GB HS selected this inn for its annual reunion and we were very happy again (last time here for our 15th reunion). 12 couples enjoyed New Hope and especially the time spent with old friends on the Back Porch and the extensive gardens and well-shaded lawns of the Wedgewood. Its not easy pleasing 24 over - 50 yr olds and you surpassed our expectations with fine food and lodging and expert innsider info on what to do and where to go off-the-beaten-path. We appreciate all you and your knowledgeable and smiling inn staff did to make our long weekend our most successful reunion to-date. Wrought iron lawn furniture in small groupings are located t/o the expansive lawns and gardens. In addition, two charming and romantic Gazebos are also situated under huge shade trees and surrounded by brick walkwys and flowering gardens. We are returning after a while; when my wife and i were dating (early 1990's) we often frequented your lovely Inn. We have the best memories from our stays...I bring myself back in mind about all the good...Since then my wife has become a 5 year Cancer survivor as of today and our beautiful twin boys turn 6 as well... I can't think of a better place to celebrate than a weekend at the Wedgewood Inn! Thank you so much for all the wonderful memories you have brought to my wife and I. Pat yourselves on the back. All your hard work running Wedgwood pays off by making great memories... Sincerely, Lou and Steph C.
knowledgeable and friendly Innkeepers and staff make stay as pleasant as the surroundings. We had an amazing night at Wedgewood Inn's Carriage House last Sunday night. My husbaand booked us the Carraige House as a surprise for our 1 year wedding anniversary, and i couldn't have been more happier with our mini getaway. This Inn is gorgeous, the cottage wonderful and breakfast was perfect. The only thing i would have changed was our length of stay! Next time, we'll have to do more than one night. Thank you again Nadine and Carl for your hospitality and for the opportunity to enjoy a night to ourselves. Best wishes for much, much more continueed success with the Wedgewood Inn. We will definitely recommend it to family and friends!! J.B. Please do not book to stay at this Inn without 100% certainty that you will be able to stay when reserved. We booked our reservation in August to stay in November and was automatically charged the first nights stay. Unfortunately, my mother became deathly ill and was on life support for 5 days. As I sat vigil in the hospital, I contacted Nadine to let her know the situation. Here is the quoted response: " effective "midweek, non-holiday" only; 10 daYS NOTICE of any change a must. No refunds granted.By email only.Nadine and Carl, props." My husband and I are not able to take a 2 day getaway midweek, non-holiday. Giving the extenuating circumstances, I would have certainly thought there would not be an issue to reschedule. We did not book on a whim NOR could we have ever thought this situation with my mother would occur. At this point, we are out the $200 deposit and feel it is best to take the loss than to stay and patronize a place that is so cold and ruthless. There was no sensitivity or compassion to the matter. New Hope is a beautiful area and there are other Inns who offer far better customer service. Stopped in to ask about a room and received a tour and offer of warm cider and snacks. I was fortunate enough to book their last remaining room. The Innkeepers and staff were extremely warm and welcoming. They provided a great deal of information about restaurants and entertainment, enabling me to have a fabulous dinner, take in a play historic in recently renovated Bucks County Theatre and end the evening listening to jazz. Next morning, I awoke and had an amazing breakfast of fresh fruit, eggs, oatmeal, etc. A Sunday New York Times was available with plenty of hot coffee and fresh juice. Staff was friendly and very accommodating.. I have stayed in many B and B's and this one stands out. You will be treated more like family than a guest. I highly recommend the Wedgewood for your next trip to New Hope/Lambertville/Bucks County. I am Jason from Staten Island,NY. I have been coming here for YEARS..I Love it & always look forward to my visits. Carl and Dinie are AWESOME! Love them. The service,decor,ambiance,the breakfast in the main dinind room and cleanliness of the entire property are second to none and they do all they can to make you feel at HOME and it does feel like a second home with each visit. If you wanna' unwind,relax and feel like your far from the everyday hectic Ratrace without a lengthy travel then THIS IS THE PLACE TO BE for Anyone. Just a suggestion: The Fireplace/Jacuzzi room is Perfect : ) So.. With All that said, COME STAY HERE ASAP and you'll be so glad you did and have great memories for years to come. Thanks again to Carl and Dinie. Love you guys and will be seeing youagain SOON for Valentine's Day with my Fiance' Kelly. Thank you for a lovely visit!! We had a wonderful time at Wedgwood's Aaron Burr House Inn in New Hope's Historic District earlier this month. I would love to come back again some day. Again, we love your Inns! All our best, D. and B. Washington, D.C.
InnSide Tip - New Hope Car Show ; is excellent! Always the 2nd weekend of August, the "New Hope Auto Show" is located in the fields and high school parking lot directly across the street from the Wedgewood Inn. A well- run event for both the casual car lover and the antique auto collector too! Perfect place to stay! Very clean, comfortable beds, pillows, beautiful garden out back with plenty of chairs and even a hammock to relax on. Free wi-fi, great breakfasts, good coffee. Afternoon tea or lemonade ( homemade). Walking distance to New Hope. Friday night fireworks on the river were awesome! Perfect for our 30th wedding anniversary. One to remember. 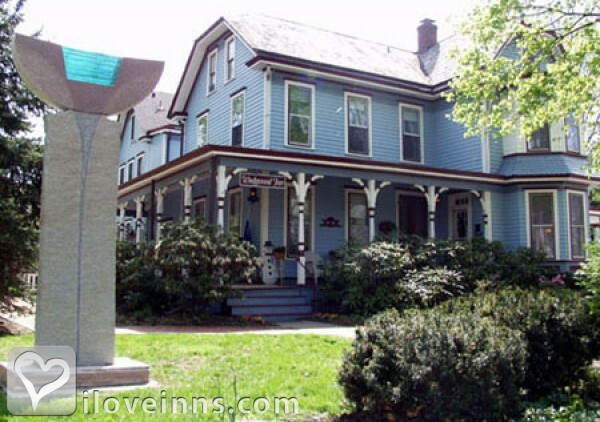 Best romantic Inn in New Hope! Spent our 30th wedding anniversary weekend there and the place was great! Very relaxing, great homemade breakfast, friendly servers and host. Beautiful relaxing gardens. All within walking distance of New Hope. Thank you very much for another excellent stay at your 3 historic inns in New Hope. You are true and authentic Pennsylvania hospitality and the international college counselors and agents loved staying there. We look forward to returning again with our new international clients. Jill V., Coordinator for ISES Inc.
We were introducing international clients from many different countries (Turkey, Indonesia, Russia, China and more) to the United States and new Hope was our first stop outside of NYC. The inn staff was warm and friendly and very respectful of the language barriers and cultural differences within my group of 25 travelers. InnSide Tip - 2 person Jaccuzi opp Fireplace! All the Jacuzzi suites & rooms are set-up with the 2 person Jacuzzi tub in your bedroom, opposite or alongside a fireplace. In addition, there is a separate full bathroom ensuite too. Thank you so much for a wonderful weekend experience at your New Hope inn. Everything was perfect! InnSide Tip - Carriage ride thru town! What a great place..! Hope to be back soon..!! We both had such a great 3 night weekend with you in New Hope!. We want to thank you both for accommodationg us and we love The Wedgewood Inn; so perfect, so welcoming...we will spread the word. And we will be back! Sorry wthat we needed to get on the road early and did not get to thank you in person. With much appreciation, Ginnie & Paul H.
My partner and I recently stayed at the Wedgwood Inn and we can say is WOW! From setting foot in the door, we felt right at home. Carl, Dinie and the rest of the staff are fantastic and really know how to make you feel as if you've know them forever. We have never had a more relaxing getaway. We're already booked for October 2014! I have stayed, by myself, with my partner, and at times with the whole family, many times over the last ten years. We keep going back because we feel so comfortable and taken care of at the Wedgwood. The breakfasts are fresh and generous and the innkeepers and staff are friendly and attentive. The rooms are always a surprise, each idosyncratic and lovely. The location cannot be bettered, quiet and yet almost in the center. Dear Nadine and Carl, We want to "Thank you" for your generous hospitality while we vacationed at Wedgewood's Umpleby House Inn last week. We especially enjoyed reading about your 30 year journey as B&B innkeepers. We also appreciated your special "touches" in our accommodations that made our visit that much nicer. We were very comfortable and we truly appreciated your attentiveness to detail which added a special touch to our getaway. Enjoy the upcoming Holidays! InnSide Tip - Travelling with a pet dog? Certain rooms and suites can accommodate a quiet, well-behaved pet dog ( daily fee) Many must remain "Pet Free" for those with allergies). Just ask in advance if you are travelling with your pet. I just wanted to say how much we enjoyed staying overnight at Wedgwood Inn's Aaron Burr House last week. The breakfast was delicious (served between 8-10 am) and our Host, Carrie, very sweet. We stayed in the Fireplace Room (A-1) and it had a large wood-burning open Stone Fireplace (the innkeepers re-set it daily) and a Queen sized Lace Canopy 4 Post Bed. The mattress was very comfortable but I suggest that new feather pillows would be a wonderful addition to this beautiful and historic Inn. We will definitely be back, even if we have to bring our own pillows! Booked for 1 night, stayed 7! InnSide Tip - Smiling staff, clean historic inn. The staff are happy and very welcoming. 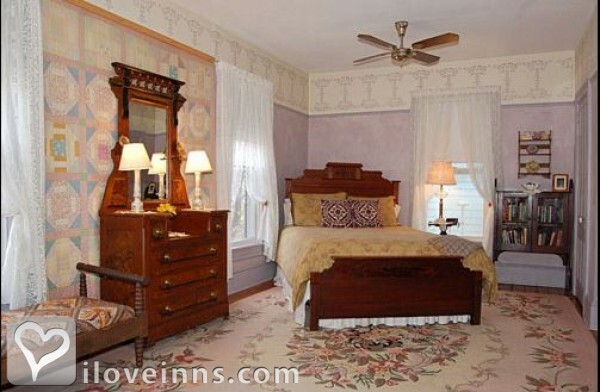 This historic and gracious Victorian inn is very clean and well maintained. 20 years of excellence in lodging. A huge "Thank you" to Dinie and Carl for their ongoing friendship and hospitality for over 20 years. Thet have provided B&B sanctuary at their wonderful inns to us many, many times before we actually decided to move to New Hope, PA. Jill and I marked many important and life changing moments while staying there ( with and without our pet dog.). And once again it has been a marvelous 5 days last week, returning to the Wedgwood 2 years after moving to Las Vegas, Nevada. When in New Hope or anywhere in Bucks County, PA., experience the best in lodging and hospitality at The Wedgwood Inns. We have come as a couple, with a dog, and now, with a child. The Wedgwood Inns have a variety of rooms and suites to meet your lodging needs. Just inform Dinie and Carl ( and staff) what you need/want, and they will gladly suggest the accommodations best for you! We had a fabulous time staying in your doll-house (Carraige House) last week. Lovely accommodations, grounds and friendly and helpful staff. We had a wonderful time in New Hope, PA! 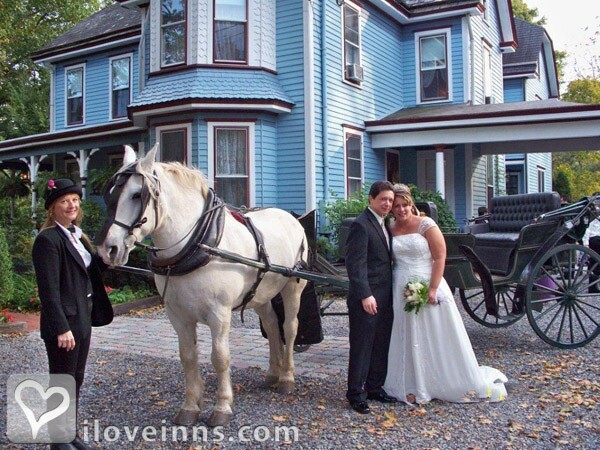 InnSide Tip - Carriage House rules! This storybook 2 storey cottage is the best! From the woodburning fireplace to the 2 person Jacuzzi Tub in the Great Room, to the large covered porch off of the 2nd floor bedroom; this is it! An All -American inn experience! Thank you for extending so many courtesies to me this past week. It was a tough week visiting a family member in the U.S. that is ill. Your hospitality and flexibility in serving me breakfast early went a long way in making this emotional week a pleasant experience. I am in your debt. your gracious inn is so much more than just a lodging establishment. It has American soul. InnSide Tip - Hospitality plus! The innkeepers and staff make the lodging experience here as pleasant as the surroundings. I had a wonderful birthday celebration at Wedgwood Inn with my husband. We had visited the inn last year and Carl had shown us around. We stayed this week and our Jacuzzi ( a 2-person tub) suite was well-appointed and very comfortable too. And breakfast was delicious ! the Mushroom Quiche was the best. The grounds, the staff, and a great location (in-town but not 'downtown') all added up to a very happy birthday celebration. InnSide Tip - Jacuzzi tubs for two! All the 2 person Jacuzzi tubs are in your bedroom, near a fireplace; very romantic! In addition, there is a separate bathroom. Just a short note to thank you again for making our 30th Anniversary getaway at your Inn so special. Your help in ordering chocolates and making dinner reservations for us, with the added surprise of an upgrade on our lodging room was very much appreciated. Your inn is just lovely! Breakfast was wonderful -- and Dinie is so sweet and kind. We will forever remember our 30th wedding anniversary with much warmth. We will recommend your Wedgwood Inn to all. InnSide Tip - Great location! Walk to everything in not only New Hope (PA) but in its sister river town, Lambertville, NJ too! Parking is scares, and expensive, in town. Leave your car and your worries in the tree-shaded on-site parking lot at Wedgwood Inn, and walk the block to the town center. Nadine & Carl, Thank you for another wonderful 3 day stay! all 5 of us girlfriends so appreciate your warm welcome and attentive service. We really appreciate your informing us of all the new restaurants and attractions. We have our 'routine' down pat now, but always try to add a new restaurant to the mixQ We are already anticipating next year, Take care. Hi Nadine and Carl. Thank you for another lovely and relaxful 4 night stay at Wedgwood. We had an adventurous and fun-packed Columbus Day weekend exploring the back roads and beautiful Fall colors in and around the inn. We look forward to our next stay -- hopefully over the Christmas holiday week. Dinie and Carl, Its been a few weeks since I stayed for three nights at your B&B. But I still wanted you to know how meaningful my stay at Wedgwood's Umpleby House was. It was the first time in 9 years that I took a retreat by myself....I had the time, and your well-appointed historic inn and private grounds, to reflect, and I am happy to say that I have already began making positive changes in life. Thank you for providing a magical & personalized 'home' for me to step away to.... Next time i'll bring my fianc�, by then, wife! lots of places to relax and read outside; on the Back porch, 2 gazebos, garden seating areas, wrought iron furniture and tables abound! Big red Hammock was my favorite. These folks love their role as innkeeper/concierge so ask them! Get off the beaten-path. Its our 3rd visit and we keep finding new things to do and see. And new places to dine! What a beautiful and down-to-earth place this is! 3 different shopkeepers recommended Wedgewood Inn and we were happy we followed their suggestion to stay here. Clean! and very comfortable. The smiles and warmth of the staff began at our greeting and tour of available accommodations. ''very knowledgeable innkeepers too. InnSide Tip - Delicious breakfast! the inn made Granola is healthy too; no sugar, but honey is used. Carl's homemade Almond liquer is thee perfect nightcap! Just 30 minutes away, New Hope is a great escape close to home for us ( we have young children at home). The lace canopy bed, a queen, was luscious, The two person Jacuzzi and fireplace in the bedroom devine. Thank you for rejuvenating us! We tripped on Wedgewood while taking pictures of the spring flowers and beautiful historic houses on Bridge Street. We only came down from Queens for the day, but decided to stay the night because Lambertville and New Hope are fun towns to walk-around in. Good food too. We chose a room with a balcony and fireplace in the bedroom. and a clawfoot bathtub. We soaked-in-the-tub and drank-on-the-porch! nd had our breakfast on-the-porch too. Restful. Wonderful. Larry and I took a few days off to celebrate his birthday and we had a great time exploring New Hope. I got him a special seat on the Steam Train Ride, which was just a half a block from the inn. We also did a Beer tasting at Triumph Restaurant and Brewery, next door. The Guest Cottage was separate and very private. We had breakfast in the dining room one day and a tray was brought ( as we requested) the second morning, which we ate on our second floor covered porch. Go for a room with a private porch! This is a charming Victorian inn. The innkeepers and staff make the lodging experience as pleasant as the surroundings. Majestic shade trees and beautifully landscaped gardens and wrought-iron tables and chairs are on the two acre property. An easy stroll to Main Street too; the best location. Deenie and Carl had the best suggestions for touring garden centers and back-road Covered Bridges and historic General Stores..
We appreciated al the little details that made a big impression on us. From the hand-painted walls to the plush comforter, six pillows and colorful bedding to the Wedgwood vase of fresh flowers on my Birds Eye Maple lingerie dresser; all beautiful and gracious. The convenient location, on beautifully landscaped grounds, is just a block off Main Street, is another benefit! Carl grows several varieties of mint and often makes infused Mint Iced Tea. After 23 years, we moved here! After staying at Wedgwood Inn several times a year since 1993, we finally sold our Baltimore home and moved to New Hope! you lost a customer but gained a new neighbor! We promise to send all our out-of-state company to stay with you, as long as we can have breakfast once in a while! Continued success. The tall shade trees, specimen bushes and plantings. Colorful Flowers. And 2 Gazebos in your gardens too! Birds singing and your Butterfly Bushes are doing their job too. Comfortable chairs and benches throughout your landscaped grounds too. I went from my hugh California King-sized bed to breakfast on your Back Porch to the Hammock everyday! Loved every minute. Came for convenience. Stayed for hospitality. Thank you for a rewarding travel experience to your Wedgwood Inn. While searching inns online, we decided on Wedgewood due to its location in town yet it had its own onsite parking and some acreage too. That it had and so much more! Diine and Carl and staff were always smiling and accommodating. Knowledgeable too. We booked for one night and stayed for three! InnSide Tip - Concierge services were excellent! Ask. Your innkeepers will point you in the right direction. For food. Best markets. Scenic back roads. Covered Bridges. Etc., etc. We are still talking about our 4 day stay over this past July 4th weekend and how much we enjoyed visiting New Hope and Lambertville and staying at your charming Victorian inn. Your delightful three- course breakfast (served!) on the Back Porch was a wonderful way to begin each day. The Pool & Tennis Club complex was a refreshing way to end each evening. and what we did in between each day could fill a book! Lace Canopy Bed, at last! Thank you for making our 50th wedding anniversary such a wonderful experience. From the fine riverfront restaurants to the hidden alleys off-Main Street, we loveed Dinie's suggestions and followed them all! Monday Night at Karla's, Tuesday morning at Rice's Market, Wednesday at the Golden Nuggget Antique Market. The Playhouse! And best of all: i got my long awaited chance to sleep under a beautiful Lace Canopy Bed. InnSide Tip - Listen to your Innkeeper! Nadine is an ace of a Concierge. Thank you for the most restful "StavCation" I've ever had! Just an hour away from home, but a world apart, New Hope was a delightful small town with big charm and historic interests. Just a stroll to downtown, your Wedgewood Inn provided the R&R the second R is for Romance) we needed from our busy comutting- lives of she- works/he- works. your well-appointed accommodations were not only beautiful they were comfortable too. We shall return! the white wicker furniture on the porches is a perfect spot to watch the fireflies dancing in the night! Sip your Minted Iced Tea in one of two Gazebos on the property and observe the tall shade trees and flowering gardens. The song birds and butterflies are awesome. My husband John and I had a wonderful time at your Wedgwood bed and breakfast inn in July. Nadine and Carl and their staff were very gracious in allowing us a lovely room (free upgrade) and provided us with lots of tips for what to see and do -- tailored to our interests! The look and feel of the Inn was comforting, homie, yet elegant. The expansive grounds are lovely, and the inn is centrally located to all the fun things to do in New Hope. We were able to park our car at the inn and walk everywhere, even across an old steel bridge to Lambertville (NJ). That was perfect for us. Thank you for making our making our breakfasts each morning a memory we will never forget. Your attention to detail and your attention to us was a unique travel experience and a delightful one-of-a-kind "thing" for us. We will certainly be coming back to New Hope and we will be staying with you. Thank you so much for making us feel as though you were our personal concierge the duration of our 4 day stay. InnSide Tip - Tips are good. Take the recommendations of Dinnie and Carl. Explain to them what you want to do or see or eat. They will refer you to the right places. I had the best quiche of my life here! Herb and Three Cheese Vegetable Quiche. Yum! I've tried to replicate it to no avail. Very comfortable and large well-appointed accommodations too. Highly recommend. Wonderful staff. Delightful inn experience. Dear Nadine and Carl and staff, Greetings from the Pocono Mtns of PA! We are back home now but needed to tell you and your wonderful staff what a delight it was to stay with you those 5 days last week! Loved our room ( that mattress is heavenly and the California King-sized bed is sooo big), your individual care, not expecting a Breakfast Tray when we had to leave at 6 am to set-up at Rice's Market on Saturday and Tuesday mornings! The location was perfect for us: when we weren;t working Andrew just loved to stroll into New Hope or hop in the car and GO to take a scenic drive in rural New hope and its countryside. We needed this time off. Thanks so much for creating such a lovely inn experience. Hi Dini and Carl. We're writing to tell you that the mint plants you gave us survived the flight back to Miami Beach, FLA., but the in-flight germs got to me. Iv'e been taking care of myself and feel better today. Thanks for texting us the pictures, and especially for your hospitality. Our 4 day stay at Wedgewood was wonderful. Lore and i very much appreciate your welcoming and friendly historic inn. Take advantage of the many seating areas on the verandah, in the Gazebo (2!) in the Hammock, and more! 2nd Visit, not the last! 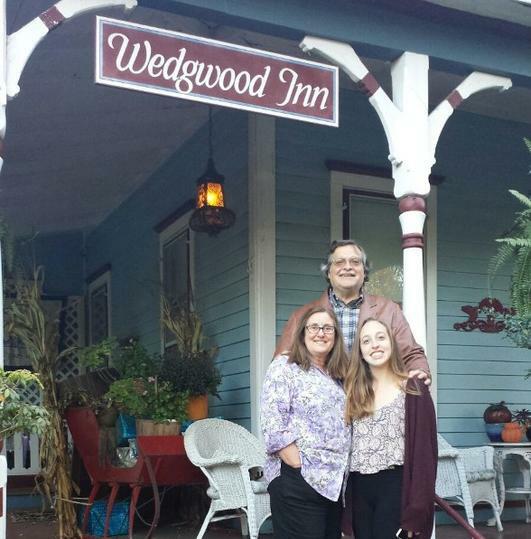 From Astoria (Queens Boro) to New Hope, PA ; we wouldn't stay anywhere else than your Wedgewood Inn. our 2nd visit was even more enjoyable than the first. And what a wonderful addition Chrissy is to your staff of smiling and very helpful, innkeepers. We wanted to see some of the rural parts of New Hope as this was our 2nd visit to Wedgewood Inn. We got great back road directions to little villages, covered bridges and historic General Stores. We can't wait to return and do more exploring. 7,000 mi journey to stay here! 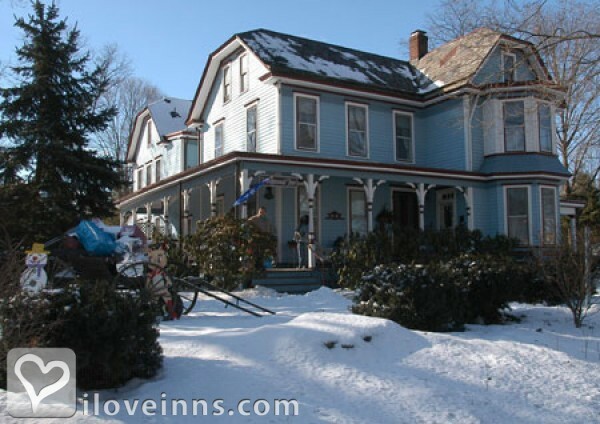 We've been driving to New Hope from Brooklyn, NY ( 70 miles) since 1983 to stay at Wedgewood Inn because we love Dinie and Carl's hospitality, the atmosphere and the romantic haven they have created. Now we live in Hawaii and we travel 7,000 miles twice a year to stay over a few nights. Well worth the trip! Yes, it was an escape from my nieces and nephews. We could've stayed over by my sister, but instead discovered Wedgewood Inn! We got to see the little ones and celebrate Christmas with them, and then "escape" back to our beautifully appointed room at our Inn. Friendly and knowledgeable staff helped us find some great live music venues ( Mojitos, Karla's and Havanas) - all walkable from our Inn. We have started a new tradition! We had a wonderful romantic long weekend at this gracious inn earlier this month. After the stree of the holidays, this was thee perfect retreat the two of us needed! Staff was accessable but did not hover. Rooms are well-appointed and ours had a Gas Fireplace and a porch too. The lace canopied bed was the most comfortable---and romantic too. What a peaceful and romantic inn! We thoroughly enjoyed our "alone time" here with out the kids. Slept in late and even heard live music after dinner and stayed out after 11 pm! The bedrooms are large and most have a fireplace in your bedroom. Each one is furnished and painted differently. Colorful towels and bed linens were changed daily too. Very comfortable beds. Professional staff were likable and friendly, but never intrusive. Will be back! B. H.
We are here now, enjoying ourselves so much that we are extending our stay a 3rd night. We are so pleased with your warm hospitality and excellent service and attention to small details. And the most convenient location; near town but located on spacious grounds. Thank you! We took a local 'vacation' to New Hope, less than an hour away, We were delighted to discover the Wedgwood Inn. Our room was very romantic; lace curtains, Canopy Bed, fireplace and lovely bedspread and linens. And; very clean!!! We ordered chocolate covered strawberries and they were in our room, upon arrival ( as requested). Aand delicious too. All the innkeepers at #WedgwoodInn are very knowledeable when it comes to where to go, and what to see and do. Heed their advise! Especially theeir restaurant recomendations. As much as we love living down the shore, we especially enjoy the rolling hills and scenic countryside around New Hope. And your grounds! Your majestic tall shade trees and green, green grass. The hammock between the Black Walnut trees, the flowering bushes and plants (despite the deer!). Your rooms and the grounds combine to entice us back every season of the year. i think we never let the fireplace go out during our three night stay last weekend. The Carriage House behind Wedgewood House is a romantic storybook cottage-in-the-woods that offers all the modern "hotel" amenities plus privacy too. Highly recommend. Thank you for creating an oasis of romance at your delightful inn. We appreciate the special attention you gave my fiancee. It was truly a romantic Valentine's Day celebration -- in January! The roses and balloons were just how i imagined. and the chocolates from New Hope were the best truffles ever. And the breakfast tray delivered to our room at 9:30 am (on the dot) was delicious and a true luxury. Wedgewood is the most romantic place to get snowed inn. From under our queen-sized Lace canopied bed we could see our fireplace and the gentle snowfall happening too. Our breakfast in bed the next morning (my partner surprised me) was a decadent delicious delight. We rolled at of bed just in time to see the matinee performance of the "Buddy Holly Story" at the Playhouse. InnSide Tip - Reserve a room with a porch! Even in Wintertime, a room with a porch is worth the extra few dollars. This is a wonderful time to travel to New Hope and all of Bucks County, PA. Walk from Wedgwewood B&B to New Hope and Lambertville (NJ) too. Great service. The Discerning Traveller. Best of Bucks County. "Travel with Lou Dobbs on CNN"., Dan Schlossberg's "Travel Itch Radio Show".